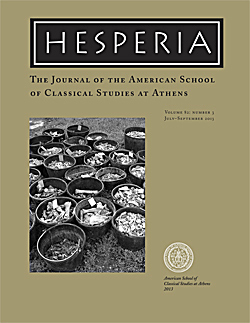 The article comprises an overview of the work carried out by the ASCSA Corinth Excavations west of the theater in 2011. The 2011 excavations at ancient Corinth focused on the Roman use of the area west of the theater’s stage building. Indications of the interior decoration of the West Hall were among the most interesting finds; also found was evidence for the continued vitality of the area after a.d. 400, which was indicated by a large number of amphoras and by a dump of 8 to 10 tons of cattle and sheep/goat bones over the, by that time, defunct West Hall. The 6th-century Roman fortification wall was also investigated. Also significant was the discovery of the westernmost foundation block of the west parodos of the Greek theater, which was exposed under the earliest Roman floor.